We think of cramming as a word associated with school and exams. But there's another type of cramming - credit card cramming - that's far more dangerous to your financial health. It was a huge telemarketing scam in the late 1990s, but it's still around, and still making plenty of money for the scammers. There are several ways companies can get your credit card number. It might be gathered from third parties, for example, or from bin diving for receipts. But the most common method is from something you've bought or ordered, especially with adult services. Suddenly charges begin appearing on your credit card statement. They're usually quite small, nothing more than £20, but you don't understand them. When you call the company, you find it's for a subscription, perhaps, or articles they claim you've bought (if you've subscribed to an adult service, you'll find that the agreement you clicked "OK" to often agrees to these extras, with billing continuing until you tell them to stop). The process will continue until you either tell them to stop (and even then it might not happen quickly) or challenge the charges with your credit card company, telling them they were unauthorised. In 1999, cramming scammed some 900,000 people over 22 countries, bringing in a total of £20 million. One American company ran a massive fraud, worth millions. At one point they were responsible for 4% of all Visa charge-backs, with a rate 100 times the national average. Always take your credit card receipts and either shred or tear them up before disposing of them. Check your statement monthly. Investigate any charges that you don't understand (sometimes they might be legitimate, from a transaction you made, but the company name differs from the shop name). If it's something you definitely didn't order, or a subscription you've tried to cancel, challenge the charge with your credit card company. Be very careful where you give your credit card information. Adult sites are notorious for scams of this kind. Read the fine print before agreeing to any subscription. Make sure you know all the conditions involved. 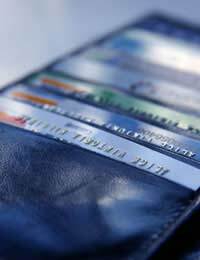 Dispute the charges with your credit card company if it's something you didn't authorise. Your responsibility is limited in such cases. If it's for a subscription you didn't order, insist the company stop it and confirm the cancellation in writing. Contact Consumer direct and the Financial Services Authority, who can pursue this matter of financial fraud.